All items arriving at the auction site should be accompanied by an entry form, your items will not be accepted unless we have paperwork relating to them. All entry forms should be completed clearly and precisely with your name and address clearly stated and if you are VAT registered your VAT number must also be included. 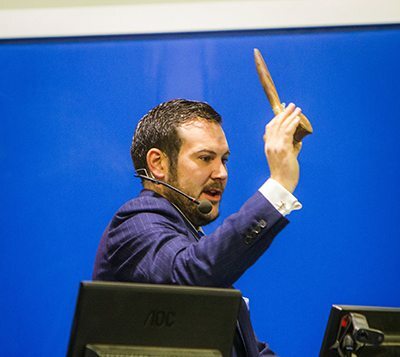 All reserve prices must also be clearly stated on each entry form as this will be the information used by the Auctioneer on the day. All vehicles being entered for auction should have the Registration Documents attached to the entry form. Vehicles being sold without documentation do not reach their true re-sale value. All vehicles and plant are subject to an HPI check prior to our pay out. Any items on finance should be highlighted on your entry form as this will result in a delay to our settling your account. Morris Leslie will settle all vendor accounts 2 weeks from the date of the auction. Should you require any further information or would like to discuss entering items with our auction team please do not hesitate to contact us on 01821 642940. All subject to VAT at the standard rate. Anyone wishing to enter items into our auction should contact our auction team who will be happy to discuss your items and send you an entry form.